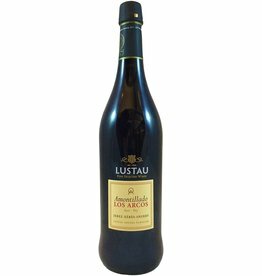 Dry (not sweet), this sherry is partly oxidized, with rich, roasted almond and yeasty-yogurty notes. Fantastic with olives, nuts, any kind of tapas or appetizer. Will keep for 3 weeks in fridge once opened.